Everyone has that one thing they’ve been meaning to do for years, but kept putting off because it’s something that’s “too expensive” or “too lavish”. 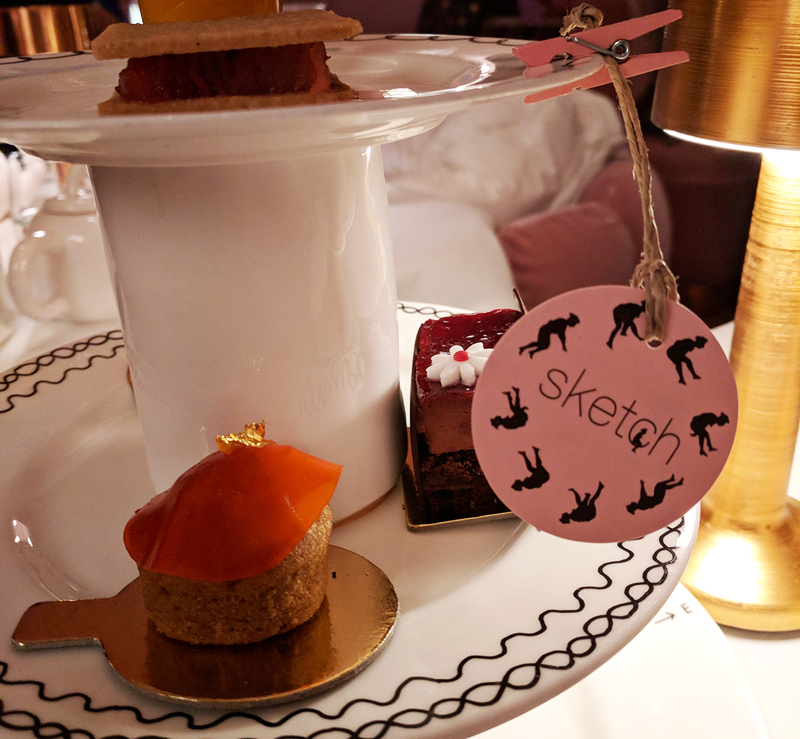 For me, that was afternoon tea at Sketch. I’ve been waiting and waiting for the perfect opportunity (or for someone to take me ) ever since I saw the first pink-filled photos lighting up Instagram. 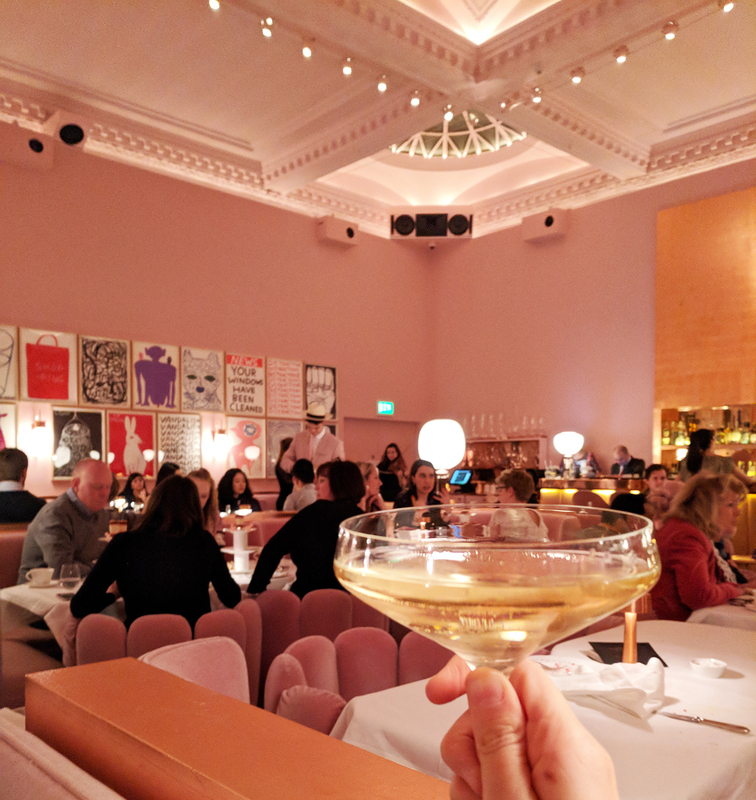 I’d even shamelessly beg my boss to take us there for work meals because who wouldn’t want to be wined and dined in a room full of pink? 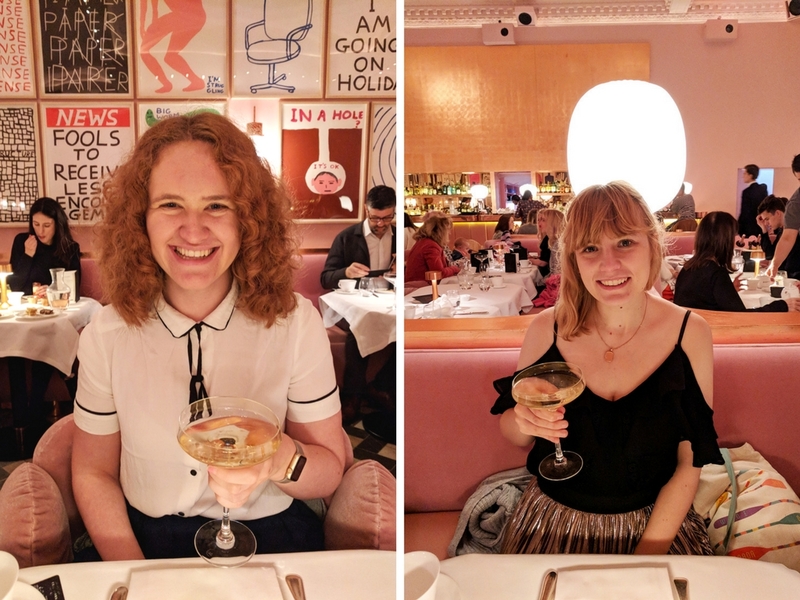 But then earlier this year I realised that there really is no time like the present – so I booked me and Sophie up for an afternoon tea to celebrate our respective March birthdays! Afternoon tea is synonymous with London. 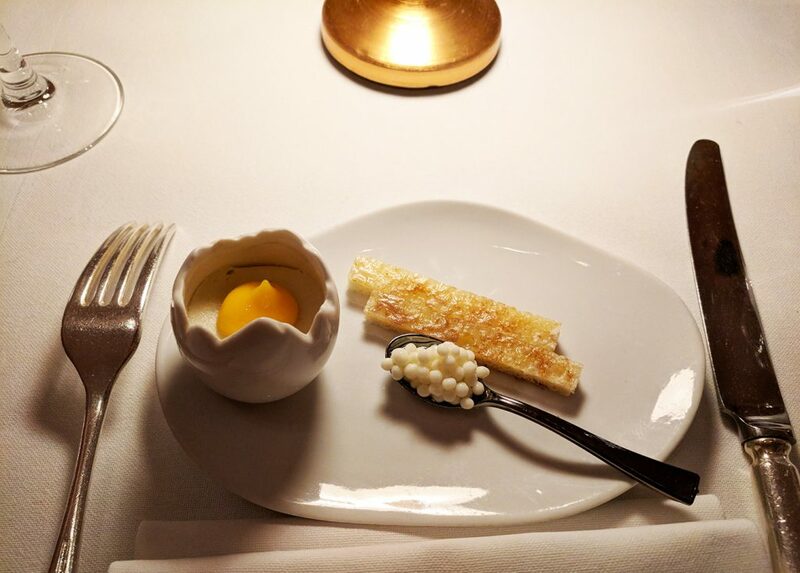 But many of the best hotels or restaurants (think Ritz or Fortnum & Mason) have a very traditional take on the post-midday meal. I wanted to see how afternoon tea was done in a modern place like Sketch. And yes, I’m not going to lie, I was also taken in by the decor. 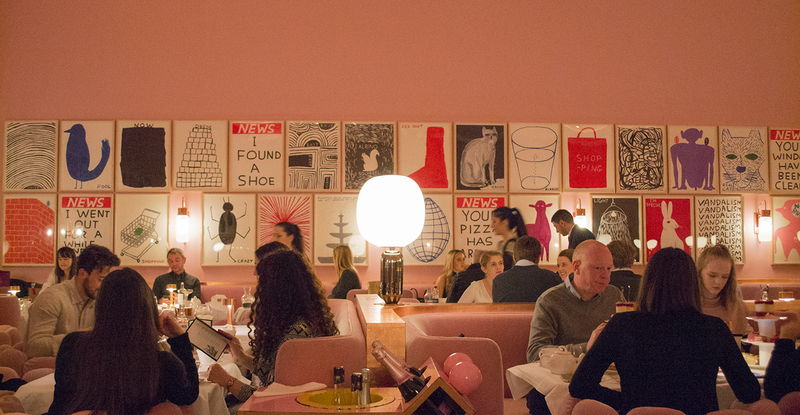 Because who isn’t a sucker for a gorgeous retro tearoom with an overload of quirky touches?! After dreaming about visiting it for so long, walking into the Gallery was more than surreal. I felt like I’d been there hundreds of times before, but everything was completely new to me! By right, the blush pink chairs and blush pink walls should be pick overload, but it manages to pull it off in full ’60s style. 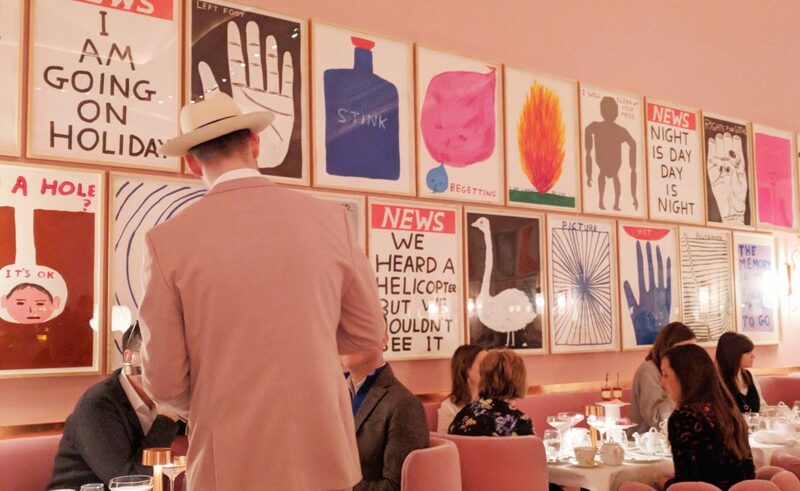 The Gallery has recently undergone a bit of makeover, with Turner prize-nominated artist David Shrigley replacing his previous black-and-white images with 91 colourfully comic new ones. 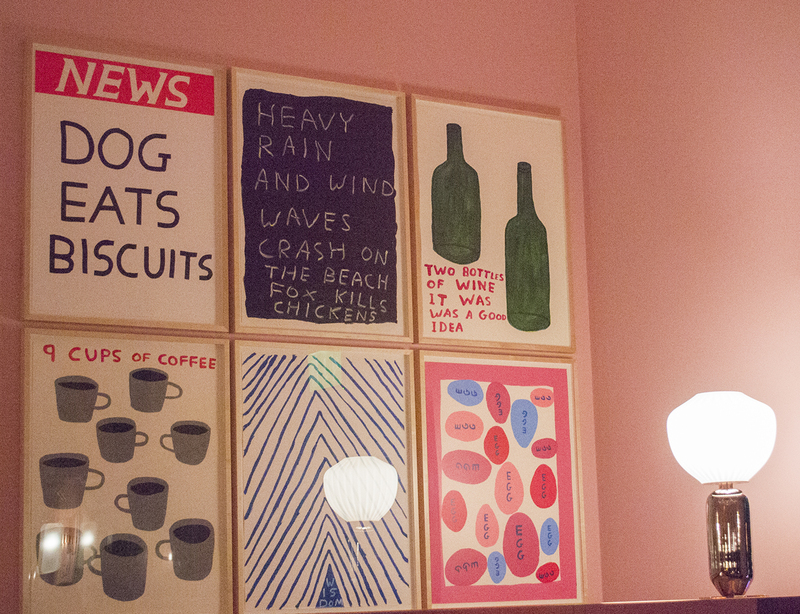 These line the walls everywhere you look, and there’s always something new that your eye picks up. It’s a good job that we were in there for near-enough 3 hours as we were constantly picking out new things! Once our Pommery Brut Silver Champagne had been poured, we were served up our first course: the caviar! Now, one of the things that was so great about Sketch was their commitment to food allergies and various diets. They cater for those with vegetarian diets right through to vegan, and they even offer allergen-free patisseries. This means that whatever your dietary requirements, you don’t miss out on all the fun. So, while Soph tucked into her fancy caviar, I had the vegetarian alternative of cold cauliflower shaped into little pearls. And accompanying that was Sketch’s take on boiled egg and soldiers: an egg yolk atop comté cheese mornay sauce. To me, the cakes were a bit of a mixed bag. 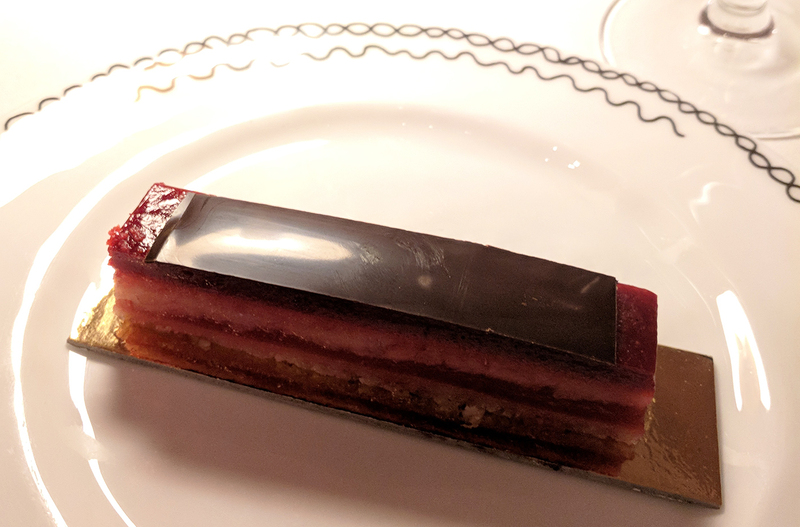 I appreciated the extent to which staff had gone out of their way to offer a full gelatine-free experience, but the cakes were so rich and so flavoursome, I could enjoy barely a bite of each before I had to admit defeat. I’ve since read other reviews that said that the Sketch team will box up any leftovers for you to take home… Wish I’d read that before I tried and failed to scoff the entire thing! My big highlight was the pumpkin-spiced cake, even if it did feel a little out of season! 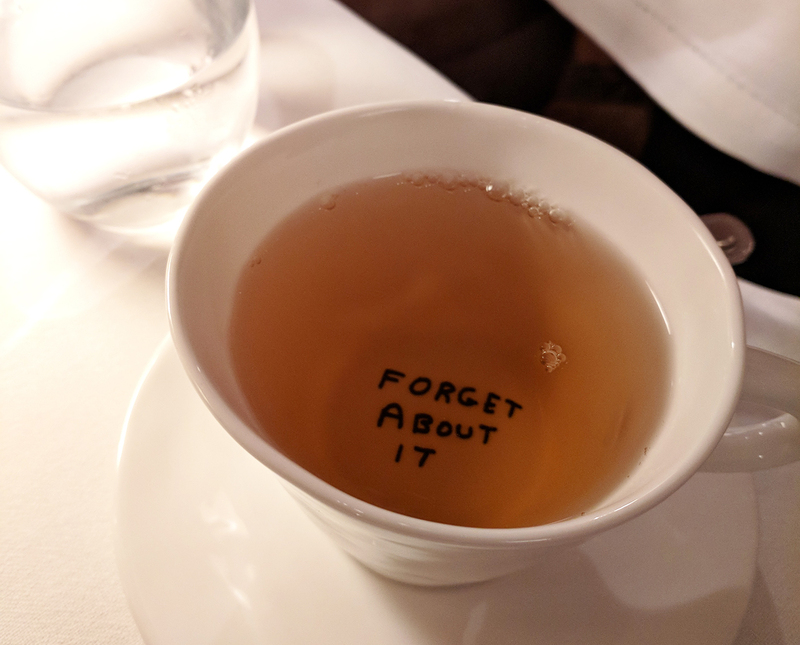 Halfway through eating, we were asked if we wanted our tea – and boy was there a lot to choose from. This was tea heaven, offering everything from black tea to oolong tea to green time from all over the world. By this time I was already feeling fit to burst so opted for a soothing herbal tea over my usual English breakfast. It was quite possibly the best choice I made all afternoon. Just when I was beginning to panic that this modern afternoon tea had completely done away with scones, our waitress came over and asked us whether we wanted one with raisins or not. Crisis averted, although I don’t seem to have taken any photos of the scones we received at all! Just imagine your usual scone, complete with cream but raspberry and strawberry jam and you’ve got it. Most afternoon teas would stop there, but Sketch likes to go a step further by offering you an additional cake from their sweet stand. Soph and I looked at each other, our eyes and stomachs bulging like crazy, as our final cake of the afternoon was placed on the table in front of us. I honestly could have cried. So. Much. Food. But things didn’t stop there. Oh no. For some reason I’d popped a note on our booking to say that it was both mine and Sophie’s birthday. So as our final piece of cake sat on the table, barely touched and unable to be stomached, our waitress came over with another plate filled with chocolate and cake! 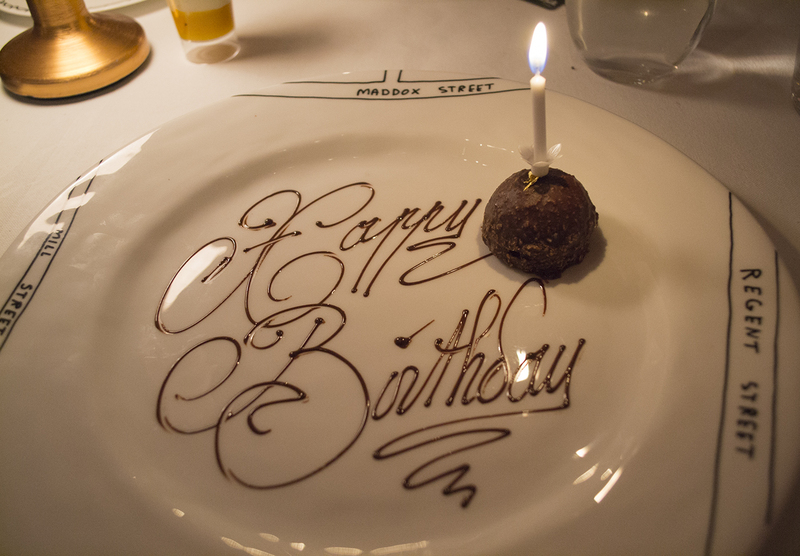 It was barely bigger than a Ferrero Rocher, but I couldn’t bring myself to finish it. And Soph took such a deep huff at the mere sight of more cake being brought over, she immediately blew her birthday candle out! One final tip: don’t leave Sketch without heading up to their toilets. 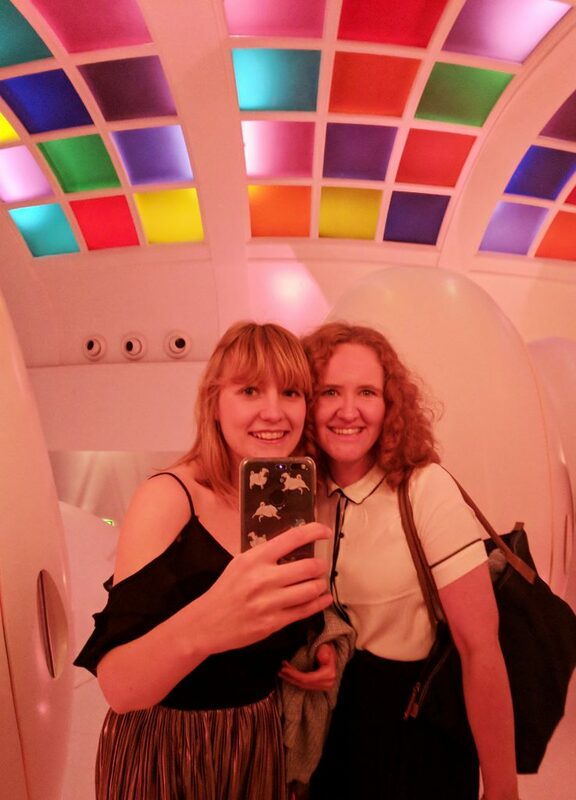 Each toilet is inside an ‘egg’, and the decor is so trippy it’s like being at a colourful Woodstock. While I can’t say that this was my favourite afternoon tea of all time, the sandwiches, scones, tea and Champagne were all absolutely on-point. Sadly I just wasn’t ~*feeling*~ the sugary side of things, which got me feeling slightly disappointed as that’s what I was most looking forward to! It was a slight sugary overload for me – especially with the extra slice of cake after the main event – but I’m sure that says more about my palate than anything else! However, I can’t deny that you get your money’s worth. 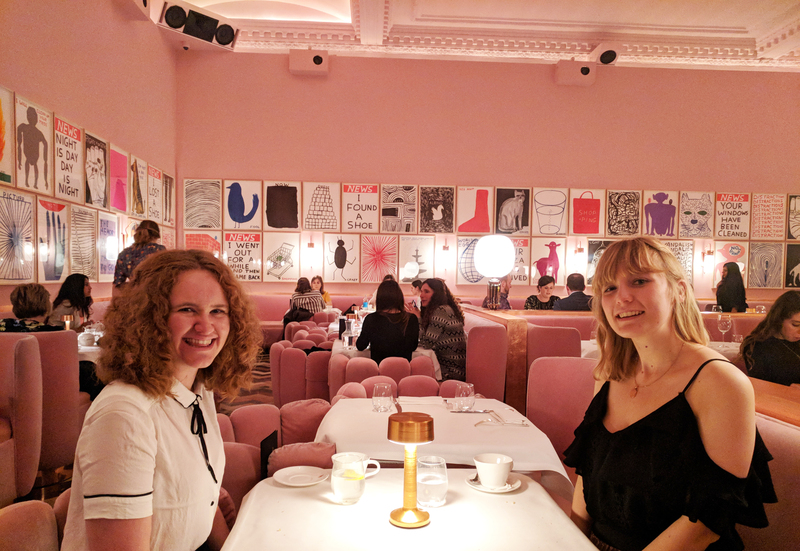 I had to hold onto a nearby solid table when I first read that the classic afternoon tea (sans Champagne) was £58pp, but that’s not too extortionate when compared to other London afternoon teas. And I couldn’t touch another piece of food for at least 18 hours after we left! 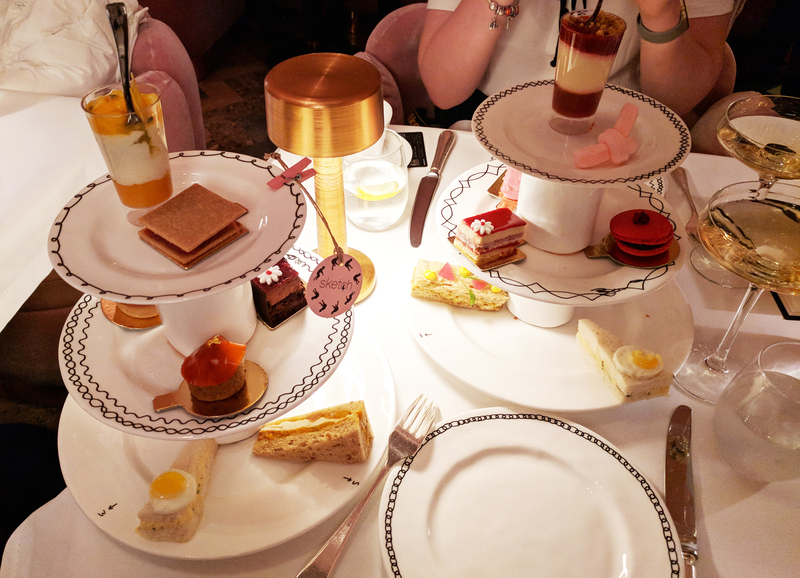 Overall, it was a fantastic afternoon tea experience with uber-generous portions, cracking service, and a wonderful approach to various dietary requirements. I’d love to go again, maybe next time to sample their brunch or dinner options? 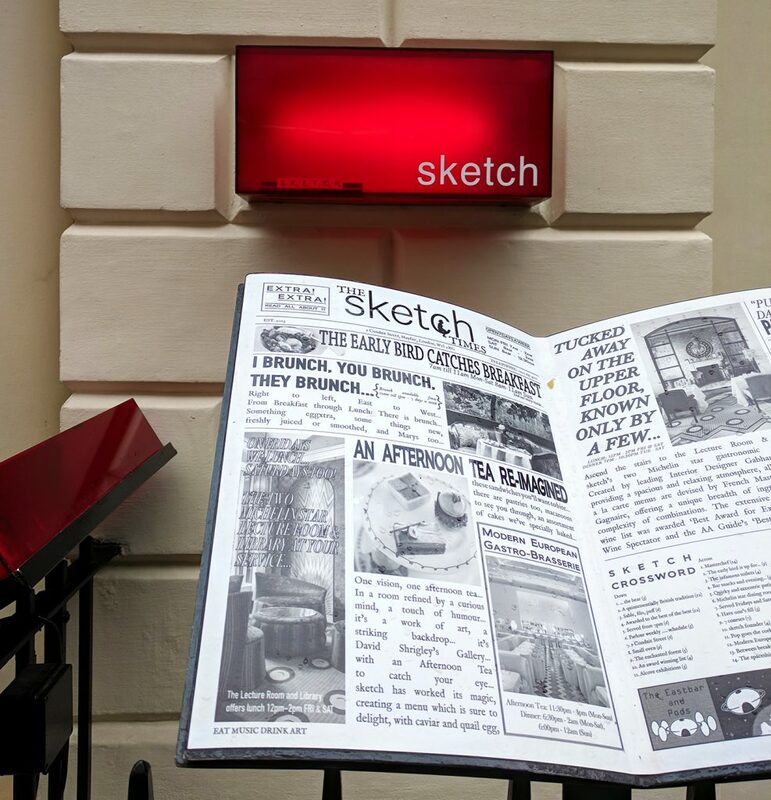 Have you ever had afternoon tea at Sketch? Or would you like to go? It’s so gorgeous and girly in there isn’t it! I love the toilets at Sketch! I’ve had dinner there but never been for afternoon tea before. Happy belated birthday to both of you, so finally you made it through the sketch, you know I am still waiting for this time that someone call me and say hey lets go to the sketch for afternoon tea  wonderful review as it should be. 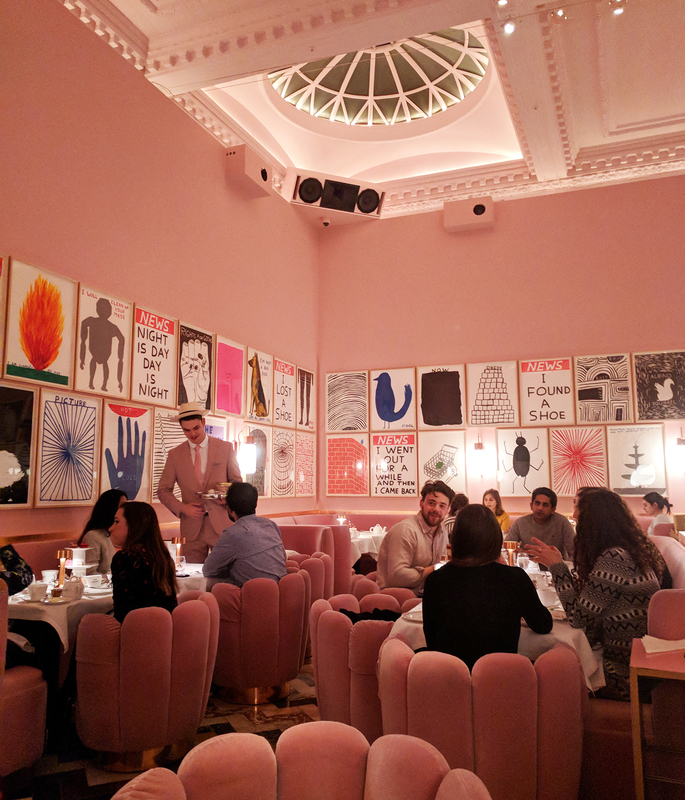 This place comes up so many times when I am researching places to eat in London, I really am going to have to try it out and go for an afternoon tea. It looks utterly incredible and the venues décor is INSANE!